The Kgalagadi Transfrontier National Park lies tucked away in a thin strip of land in the Kalahari desert between Namibia on the one side and Botswana on the other in the most northern corner of the Northern Cape province. Magnificent sights of red dunes and scrub fade across the horizon. Great herds of Gemsbok, Springbok, Eland and Gnus (Blue Wildebeest) kick up large clouds of dust amidst Spectacular landscapes simmering under the blazing desert sun. Impressive Camel Thorn trees provide shade for prides of huge black-mane Kalahari Lions and high vantage points for Leopards. And a silence so overwhelming, that you can almost hear it. That is what this Park is all about. 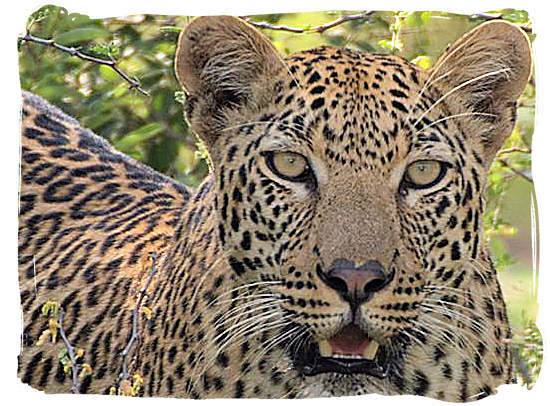 As one of the largest conservation areas in the world, it is for many visitors their favourite African wilderness encounter, providing them with an Africa experience unequalled. 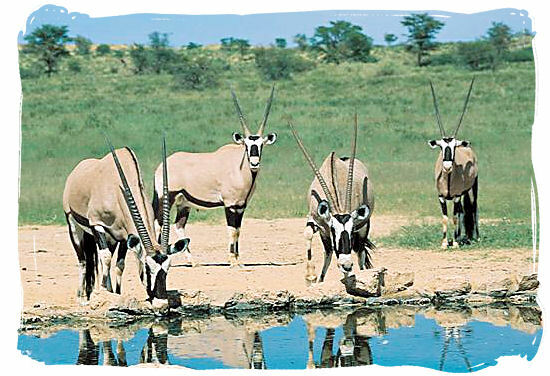 Originally It was proclaimed as the Kalahari National Gemsbok Park in 1931, mainly to protect the migrating game, especially the gemsbok. Together with the adjacent Gemsbok National Park in Botswana it now forms the 3,6 million hectares or 38000 sq. 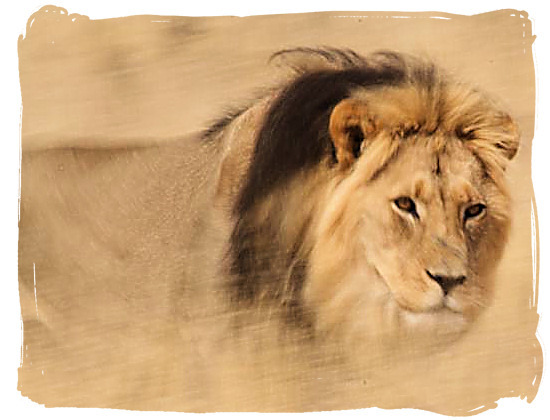 km Kgalagadi Transfrontier National Park, the first across-border national park in Africa. 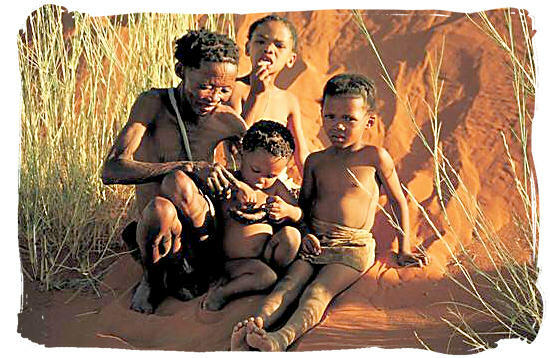 The original inhabitants of this region in the Kalahari desert were the “San” people. They were joined by the black Western Sotho tribes, who were part of the southern migration which took place during the 14th and 15th centuries. These black tribes lived in relative peace with the “San” people. It wasn’t until the 1800s that the first settlers arrived from the Cape Colony and adjacent Namibia to trade with the people living in the Kalahari. The word Kalahari is derived from the Setswana word Kgalagadi, meaning “the great thirst. Black mane Kalahari lion in the Kalahari desert. The Kalahari Gemsbok National Park in South Africa was established in 1931 and the Gemsbok National Park in Botswana in 1938. These two parks shared a common border without physical barriers, allowing for the free movement of animals. Since 1948 there have been informal cooperation agreements between conservation agencies in Botswana and South Africa to ensure the wellbeing of animals in both parks and to control development in the area. The two parks were officially combined in 1999 and on 12 May 2000 the new Kgalagadi Transfrontier Park was formally opened. Although this new Park is almost twice the size of the Kruger National Park, it is only a tiny part of the immense Kalahari desert. Covering 80% of Botswana, the Kalahari is a huge semi-desert region in southern Africa, stretching from South Africa through Namibia, into Angola and comprising the entire western and central regions of Botswana. It is one of the largest areas of semi-desert wilderness in the world. The Park is to be found in the most northern corner of the Northern Cape province, between Namibia on the one side and crossing theborder of Botswana on the other side. With many months without rain and very little water, most experts call the Kalahari a desert. Others say it is mostly dry savannah rather than a desert, largely covered with bush, trees and grasses growing precariously on the poor, sandy soil. Conditions are arid and rainfall is low. 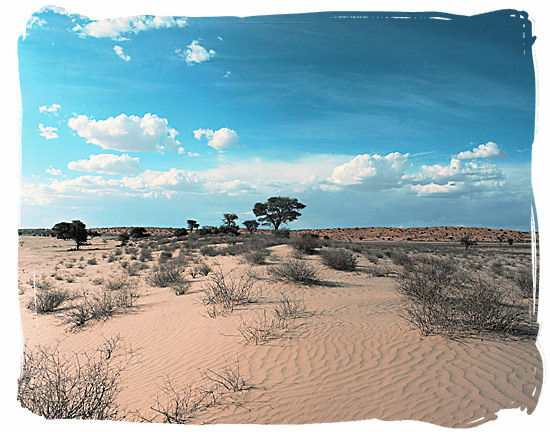 The landscape in the Park consists of a mixture of unspoiled desert and bushveld, dry grasslands, scrub bush and woodlands, with small vegetation-covered red dunes. In the dry river beds of the Nossob and the Auob rivers Camel Thorn, Vaalkameel, Swarthaak, Raisin Bush and African Blackwood trees predominate. One of the first things you become familiar with in the Park is the Tsamma Melon, a relative or maybe even progenitor of today's cultivated Water Melon. They grow in abundance in the Kalahari and as an excellent water and food source they play a crucial role in the survival of humans and animals in the harsh and dry desert conditions. In addition to the flesh, which is pounded into a pulp and then eaten and drunk, the seeds are considered a delicacy. Roasted, sieved and winnowed, they are ground on a flat stone into a coarse, whitish meal, which is a nutritious and pleasantly nutty-tasting food. 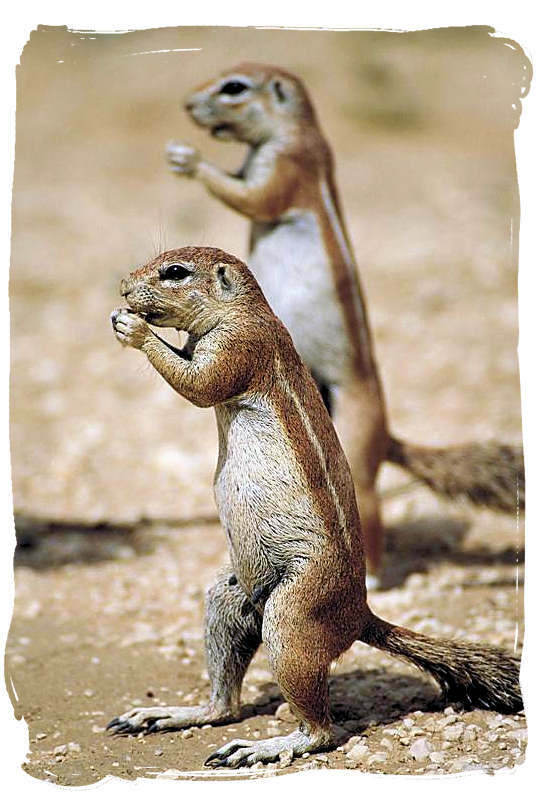 Pair of Ground Squirrels in the Kalahari desert. The dry river beds of the Nossob and the Auob are the two main features of the South African side of the Transfrontier Park. Dry for most parts of the year, these rivers may only flow briefly after a large thunderstorm. There is however water that flows underground, providing life for grass and camelthorn trees growing in the river beds. No wonder these two rivers attract huge numbers of antelope like the graceful Springbok, the Gemsbok, Red Hartebeest and also herds of Blue Wildebeests (gnu’s). They are followed by predators like the famous Black-maned Lion, the Leopard and the fastest creature on earth, the Cheetah. However, the park is not just about the big game. 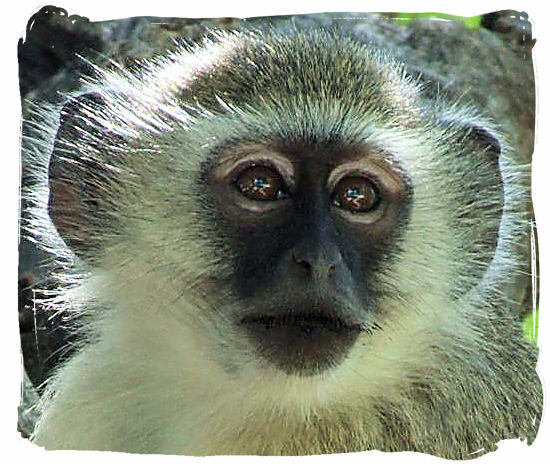 It is also a place that makes you appreciate the smaller wildlife it has to offer, like the cute Ground Squirrel with its bushy tail, often seen standing on its hind legs nibbling on something and the Bat-eared Foxes with its massive ears to listen to underground movement of small rodents and insects. Others are the Whistling Rat and the loveable Meerkat (type of mongoose). The Ground Squirrel and Meerkat are two of the park’s more prominent species. Living in large family groups for added protection they are easily seen throughout the Park. 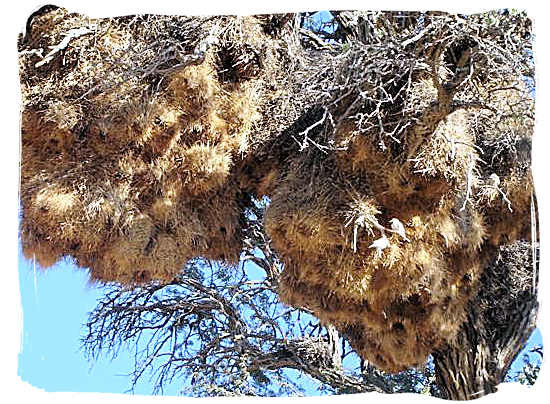 Huge bunches of nests built by the sociable Weaver in the Kalahari desert. Kgalagadi Transfrontier Park is a fascinating place for birdwatchers. 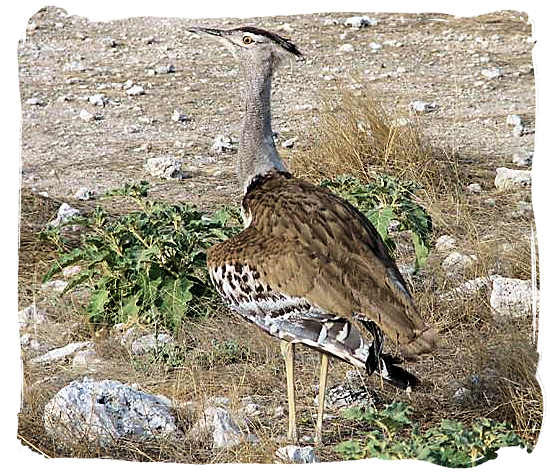 Even for people not interested in birds, you will be absolutely astonished by the volume of raptors like the stately Secretary Bird, the Kori Bustard (the heaviest flying bird in the world), the Martial Eagle and a variety of other eagles, owls and falcons. The Nossob riverbed is rated as one of the best places in South Africa to view raptors, next to migrating flamingos and pelicans, particularly during the summer. 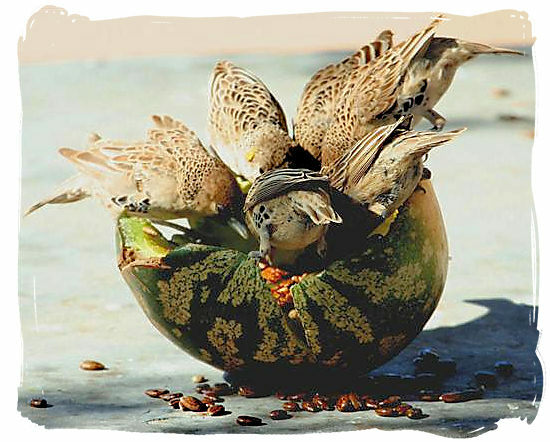 You will also be amazed by the huge bunches of nests of the sociable Weaver and at how hard these little birds work to build these nests. Shops in Twee Rivieren, Mata-Mata and Nossob sell basic commodities that you would find in your local supermarket, including fresh meat, milk, cheese, eggs, bread, wine and beer.